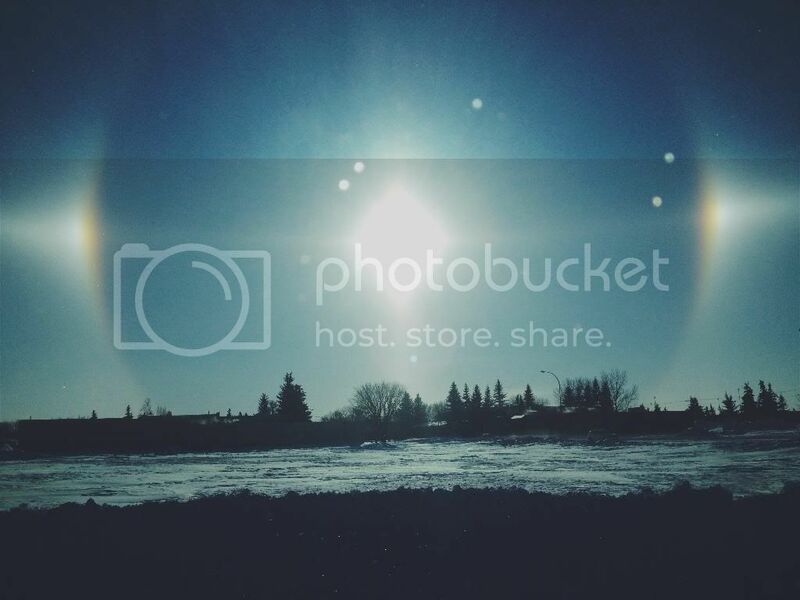 It's fifty below with the windchill and there is a rainbow halo around the sun. Something to do with ice crystals. Christmas is officially over for us now; Barclay went back to work this morning after a little time off, the rest of his family flew out yesterday, and I'm sitting here trying to get used to how absolutely quiet the house is. The cold makes the walls creak and pop sporadically and it makes me jump every time. That's how quiet it is. But it feels fitting for this time of year. If you had to write an instrumental score for a year, you'd probably begin January with quiet strings and piano parts and leave any serious percussion until at least February. Maybe March. And, obviously, you'd know to save the swelling crescendos and big bass drums and blasts from the horn section for the very end of November and on into the beginning of December when life gets blurry and crazy. You'd end off the year with a single, long note that you'd hold from the 26th until it faded away at some point on the 31st. And the whole thing would loop right back into January. I don't mean to say that Vivaldi did it wrong, just that you and I would probably do it differently.